Pastor Valerie Prescott accepted Jesus Christ as her Lord and Savior in 1991 and has been working out her soul’s salvation every since. She has been a member of Bethany Baptist Church since 1991 and has served diligently in various ministries. A gifted administrator; currently she is the full-time Conference/Events Manager for Bethany Baptist Church where she coordinates and manages several conferences and events annually. 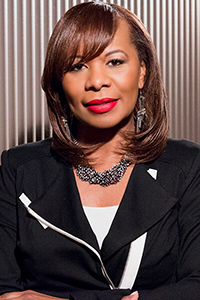 Additionally, she is the Administrator for the Abundant Harvest Fellowship of Churches, Inc., a covenant covering for Pastors where Bishop David Evans is the Prelate. Other ministries where she serves include: Executive Board of the Elder’s Council; Mentor for Ministers-in-Training Program; Instructor, Abundant Harvest Bible Institute; Conference Teacher, and Evangelical Counselor. Pastor Prescott accepted a call to preach and teach in 1996. After many years of training under the tutelage of Bishop David G. Evans, Pastor Prescott was licensed to preach and teach the gospel in March of 2001 and ordained in October 2004. In March 2016, she was elevated to First Assistant to the Pastor. In this pastoral servant/leadership role, she assists the Senior and Executive Pastors of Bethany with church and ministry operations along with various functions of the church. She is committed to being a lifelong learner and has been enrolled in Bethany’s Minister in Training Classes with Bishop Evans since 1996. Always striving to do more for the Kingdom, Pastor Prescott solicits your prayers as she endeavors to be all that God has called her to be.